When it comes to a car like the Kia Soul, with its distinct boxy shape, there are new features to the 2018 and especially the 2019 Kia Soul to get those Kia fans revved up really and eager to learn more. Initially launched in 2008, the Kia Soul is a compact vehicle with quite a fanbase. The 2018 Base Kia Soul features 130 HP @ 6300 RPM, torque of 118 lb-ft @ 4800 RPM, and a compression ratio of 11.0:1. With a 6-speed manual transmission, the 2018 Kia Soul features 24 MPG in the city, 30 MPG highway, and a combined MPG of 27. The fuel-tank capacity is 14.2 gallon. In contrast to the 2018 Soul, the base for the 2019 model will contain a 1.6 liter inline-4, which can reach 130 HP and has 118 lb-ft in torque. A second option for the 2019 Kia Soul is the 2.0-liter inline-4 engine with a 161 HP and 150 lb-ft. This 2.0-liter engine and a 6-speed automatic provide 25 MPG in the city and 30 MPG for the highway. The third engine option for the 2019 Soul includes a 1.6-liter inline-4 with turbocharging, 201 HP and 195 lb-ft of torque. This new Kia Soul features a 7-speed automatic transmission with dual-clutch. This Kia gets 26 MPG in the city, and 31 MPG, highway. The interior of the 2019 Kia Soul will have the same styling as 2018 did. The good news is that the Soul Plus package for 2019 will include a rearview camera, 17-inch wheels, 5.0-inch display, and more. For those who want the Soul Exclaim package, leather seats add stylish comfort along with 18-inch wheels with keyless ignition. 2019 will see revised designs for the taillights. From the Kia Soul driver seat, this 2018 Kia is stellar with a state-of-the-art, UVO3 system for all of your infotainment needs. The 2018 Kia Soul is designed to be spacious and wide-open as your command the car from the driver’s seat. The steering wheel and controls are positioned well for you to drive both the Kia 2018 and 2019 in style. Choose the Plus Primo or the Primo Lit package, which provides LED positioning lights, HID headlamps and a Wild Orange option for exterior car colors. The 4.3-inch color touch-screen, SiriusXM satellite radio, and a rear camera display for 2018 provides some extra benefits. The 2018 Kia Soul is sure to impress on the interior, and that original outer appearance provides an unforgettable personality with its boxy design. The car also continues its features of that unique boxy shape for both the Kia 2018 and 2019. 2018 has a new design grille that is considered “tiger-nosed,” but includes a new bumper design, and revamped fog lights and taillights. The 2019 Kia Soul is getting an all-wheel-drive option for the first time, so this is excellent news for fans of bringing more support and traction to the front of the vehicle. Fans of the 2019 model should see a rollout of this vehicle in the latter part of 2018 or early 2019. 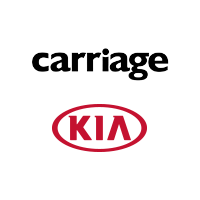 For those interested in buying a 2018 or 2019 Kia Soul, you can visit a Kia showroom and talk with knowledgeable and friendly staff at Carriage Kia of Woodstock, Georgia. You can also visit their website here to learn more. * EPA fuel economy estimates. Actual mileage will vary with options, driving conditions, driving habits, and your vehicle’s condition.